Fix-It Friday is a series of posts where I show how a website page can be improved by applying a few web copywriting principles. My primary aim is to make visitors’ lives easier. Within just an hour, it’s possible to make a page more readable, accessible and search friendly. I also explain what else I’d do if I had more time. Look at the difference a web copywriter can make! The Energy Institute (EI) is the professional body for the energy industry. It develops and shares knowledge, skills and good practice, while supporting over 14,000 individuals and 300 companies across 100 countries. The EI website looks great — modern, fresh, professional and easy to navigate. I’m going to look at its ‘About us’ page from a web copywriting perspective. Fix-It Friday is a new series of posts where I show how a website page can be improved by applying a few web copywriting principles. My primary aim is to make visitors’ lives easier. The World Economic Forum (WEF) is an independent, not-for-profit and international organisation. Its aim is to improve ‘the state of the world by engaging leaders in partnerships to shape global, regional and industry agendas’. 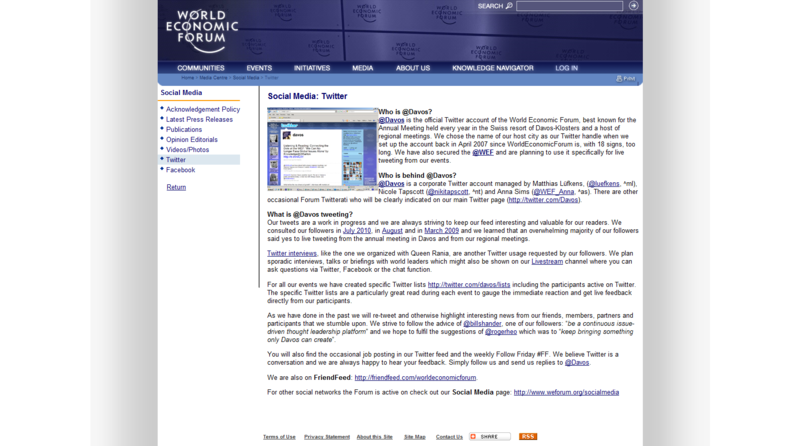 I’m going to look at the WEF’s ‘Social media: Twitter’ page from a web copywriting perspective. Dulas provides professional renewable energy services from its base in the heart of Wales. I like its website; the design’s fresh, modern and uncluttered, with clear navigation. 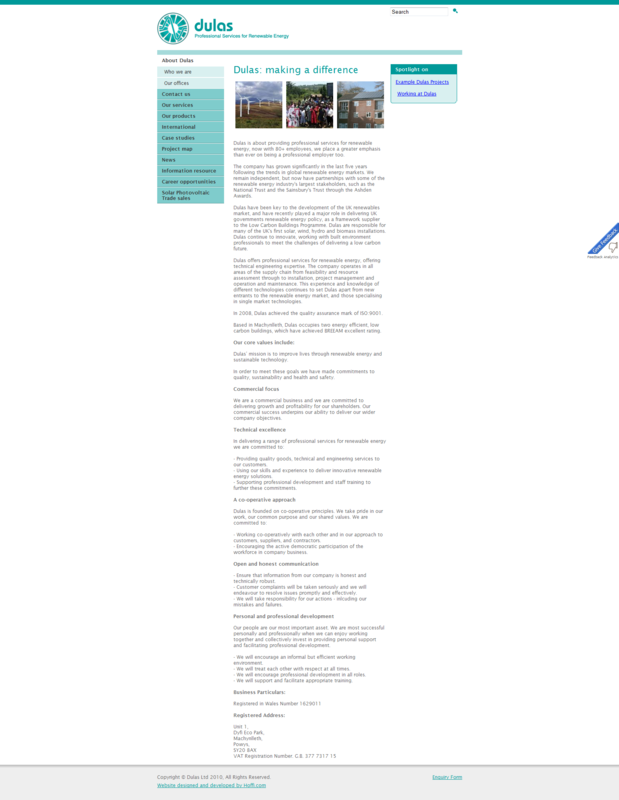 I’ve decided to look at the ‘About Dulas’ page from a web copywriting perspective.